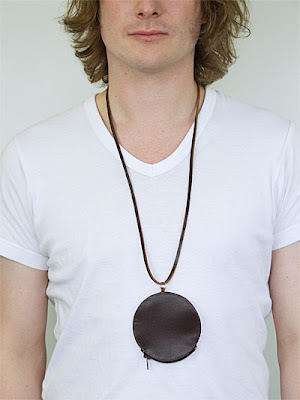 Leather pendant style coin purse by Azumi and David. As seen on Oki-ni. The styling for SS09 is inspired by ‘Haute’ travel with a futuristic, modern approach to the romance of old fashioned travelling. The bags remain slouchy and oversized with metallic leathers combined with traditional leather features, buckles and luggage tags. 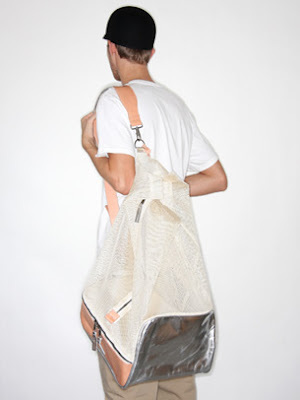 There have been alot of printed bags around lately. 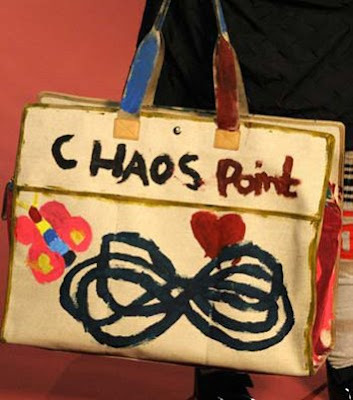 Some make a politcal statement like this Vivienne Westwood from the Autumn/winter 08/09 catwalk show. 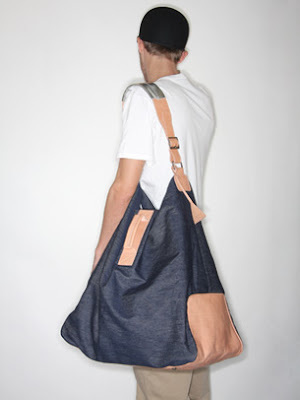 Its printed in an amateur, almost childlike way drawing alot of attention to the idea of luxury in iteself. 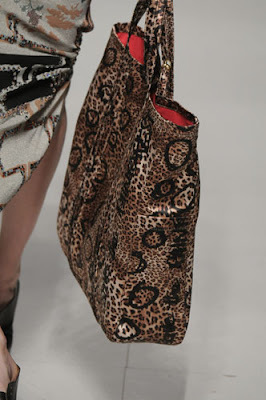 Some of these bags were seen on the streets during catwalk season in Milan. 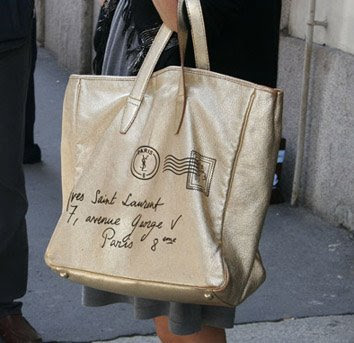 The YSL letter printed shopper has a hand-drawn graphic in the form of a Paris address which is rather modestly scribbled on. 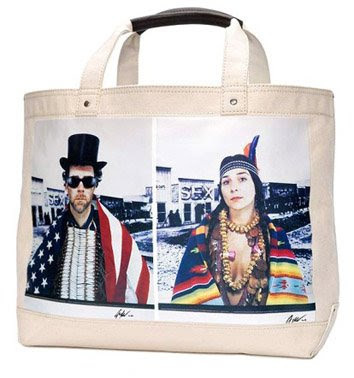 Free Arts NYC and Tommy Hilfiger collaborated on this bag, featuring an image by artist Jeremy Blake. You can buy them at Tommy Hilfiger stores or at tommy.com–with all the proceeds going towards a new Free Arts NYC photography program for low-income children in New York City. 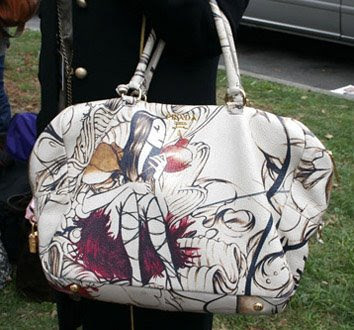 This is the Prada Fairies print bag a collaboration with artist James Jean. The graphic has a tatoo-like feel almost like day dreamed sketch that never got finished. Nonetheless, its beautiful peice. 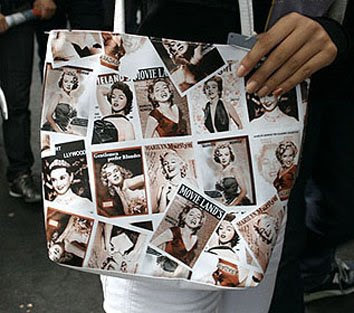 Here are a couple more bags seen on the streets of Berlin during fashion week. The photo realistic print syle is a process which i'm sure is going to be exploited alot more in the future as the technology available makes almost anything possible. 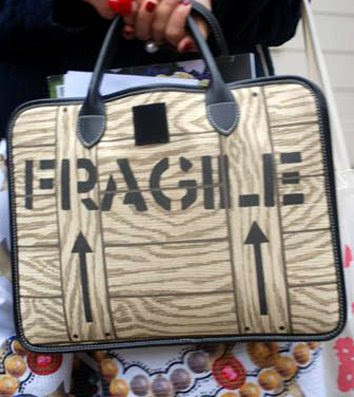 I like the simple message of this bag with the Fragile printed on a cartoon-like wood crate background. The humourous message is simple and eye-catching. 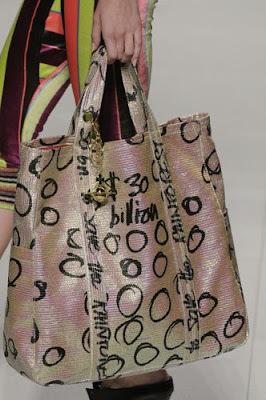 I just love these Westwood bags from the Spring/Summer 2009 collection. 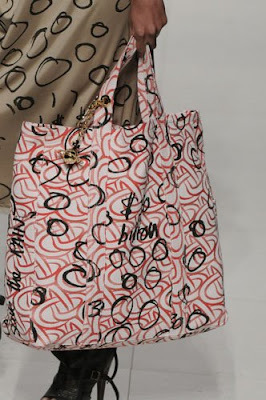 The hand-drawn on polka dots add a personal touch to the normally perfectly manicured look of designer handbags. The work-in-progress dots give the feeling that the bags are in the middle of being designed. 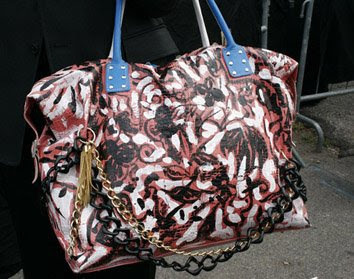 It also makes you wonder whether its the spontaenous work of Westwood herself which make these bags even more fantastic. Leopard skin contrasting with fat marker circles. 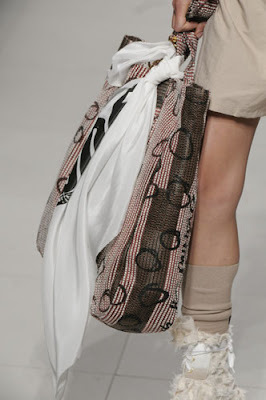 I love seeing these casual shoppers on the catwalk, adding a beach-like casualness to the whole catwalk scenario. 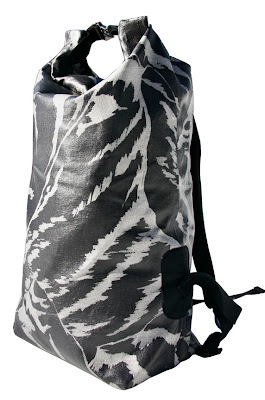 Top folding backpack with black and white print. 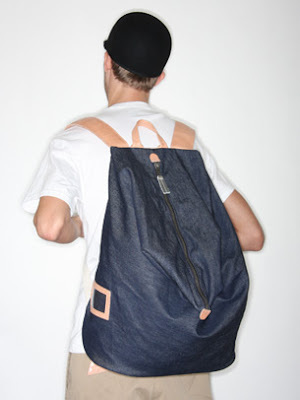 Its a fully functional waterproof backpack with a lifestyle feel.